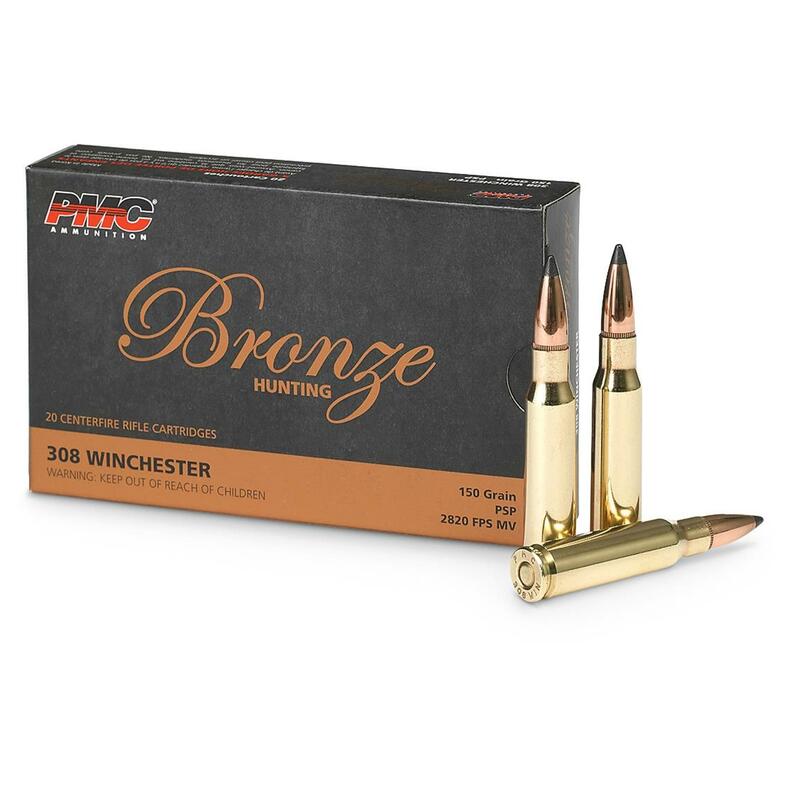 PMC® .308 Win.® SP Ammo. Great for targets and training. Practice makes perfect! 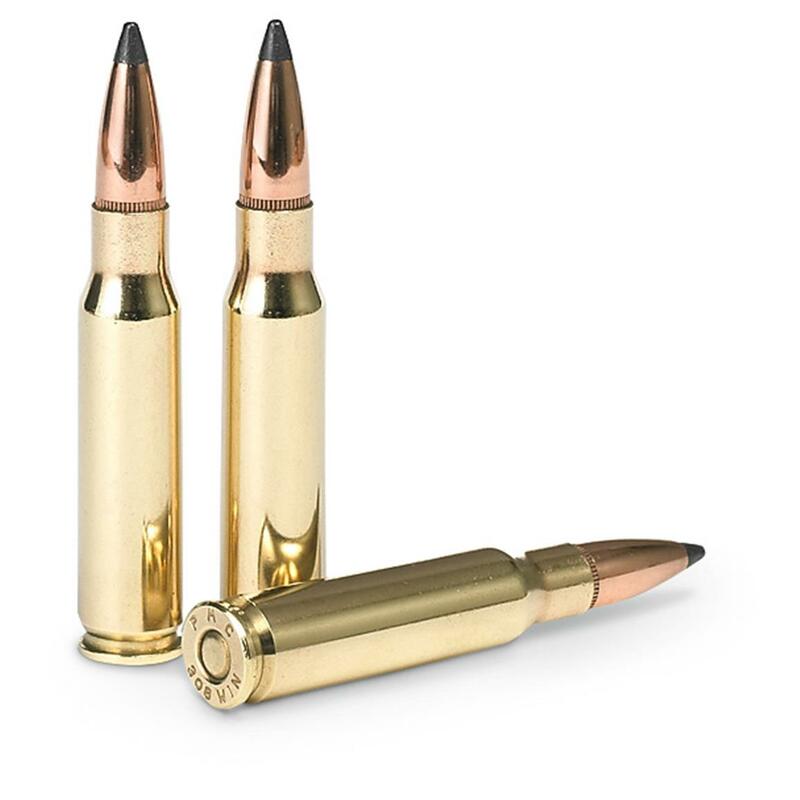 Each round contains a soft-point boattail bullet for improved long-range accuracy, seated in a Boxer-primed, reloadable brass casing. Order this .308 ammo today! PMC, .308 Win., SP, 150 Grain, 100 Rounds is rated 4.8 out of 5 by 5. Rated 5 out of 5 by Hank from Great for AR hunting Excellent accuracy from AR 10. Great for deer hunting. Rated 4 out of 5 by Diego from Great Price for accuracy! I wasn't expecting these to be that accurate due to price for a 100 pack. Sighting in at 100 yds I was to kill with 3 rounds. I've only shot the 3 rds due to the fact I was already using another brand (Seller and Beloit) as I wanted to compare and was only able to shoot 3 rds of PMC before nightfall. Will be my new hunting round for my .308 and you cant beat the price for bulk. The spacing was me getting used to the new rifle and round with loss of daylight! Rated 5 out of 5 by cparkerprostaff from Great All Around Ammo I love this ammunition, I used it to take a beautiful South Texas 10-Point this year from about 150 yards. Great expansion and penetration, I highly recommend giving this ammo a chance.